How many issues a newspaper has published reflects the print media's history. Global newspaper giant the New York Times boasts a long history and reputation. But there are few newspapers in Korea that have reached the 30,000th issue because they need to publish for nearly 100 years to hit the number. 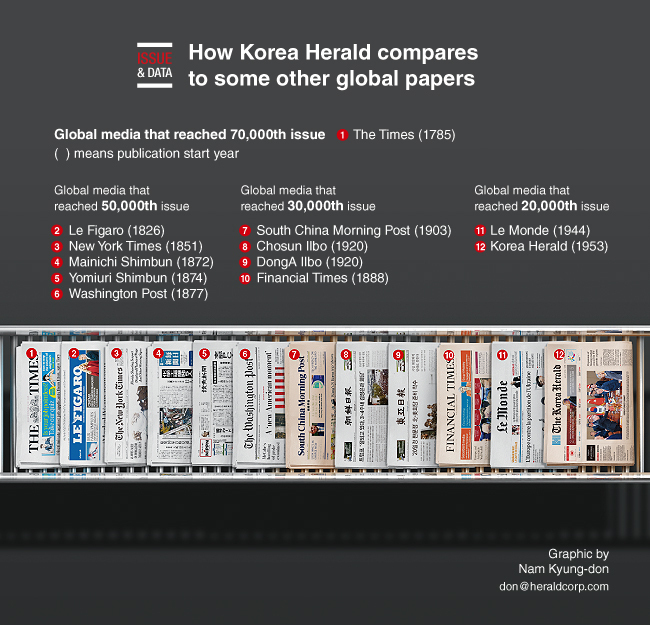 In that sense, it is meaningful that The Korea Herald, the nation’s No.1 English-language newspaper, was able to publish its 20,000th issue on Friday without any major interruptions since its founding in 1953.